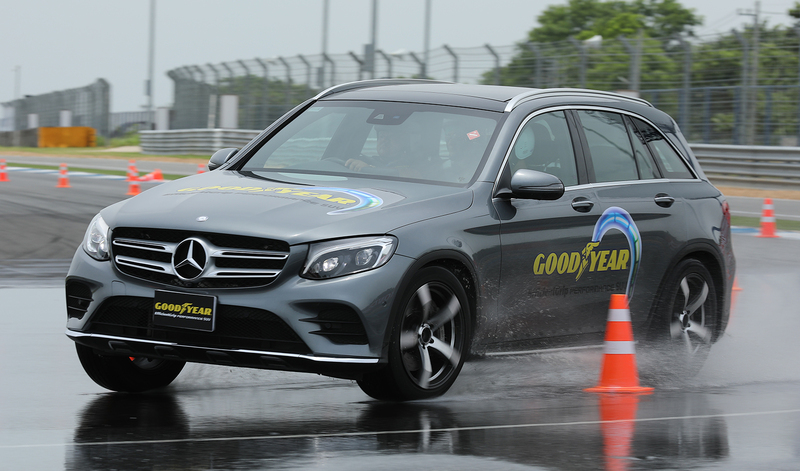 Buriram, Thailand –Goodyear today launched its latest tire in the luxury SUV highway segment, the EfficientGrip Performance SUV, in a regional event held in Buriram, Thailand. Designed with consumer-driven needs at the heart of its tire innovations, the EfficientGrip Performance SUV delivers a quieter driving experience with maximized comfort and exceptional wet braking performance. The SUV segment is clearly a growth market, expected to increase with a compound annual growth rate of 26% from 2012 to 20171 in Asia Pacific. To meet the growing demand, Goodyear has introduced the EfficientGrip Performance SUV tires as part of its commitment to continued innovation and development of high performance tires. The EfficientGrip Performance SUV is packed with advanced technology, including Goodyear’s QuietTred Technology. Its innovative noise dampening tread design has an increased number of pitches and optimized sequence, coupled with closed shoulder grooves design to deliver optimal quiet performance. The tires are also equipped with FlexContact Technology, designed with a shock absorbing cushion layer compound with optimized formulation that promises a more comfortable drive. These technologies are paired with new innovative polymers tread compound for increased grip in wet road conditions, ensuring superior wet performance in the region’s unpredictable weather. “Goodyear is always at the forefront of innovation, dedicated to offering superior tires developed with our consumers’ needs at the core. We understand that today’s urban luxury SUV drivers are looking for a comfortable, quiet escape from the hustle and bustle of everyday life, and the EfficientGrip Performance SUV is our answer to that. With the advanced QuietTred and FlexContact Technology, together with exceptional wet braking performance, we are confident that the EfficientGrip Performance SUV will provide consumers with an invigorating drive through every day’s journeys,” said Chris Delaney, President, Goodyear APAC.